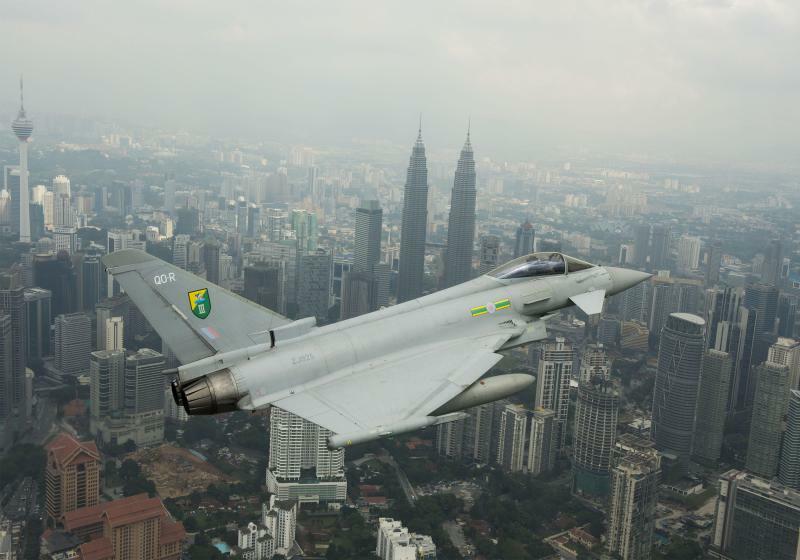 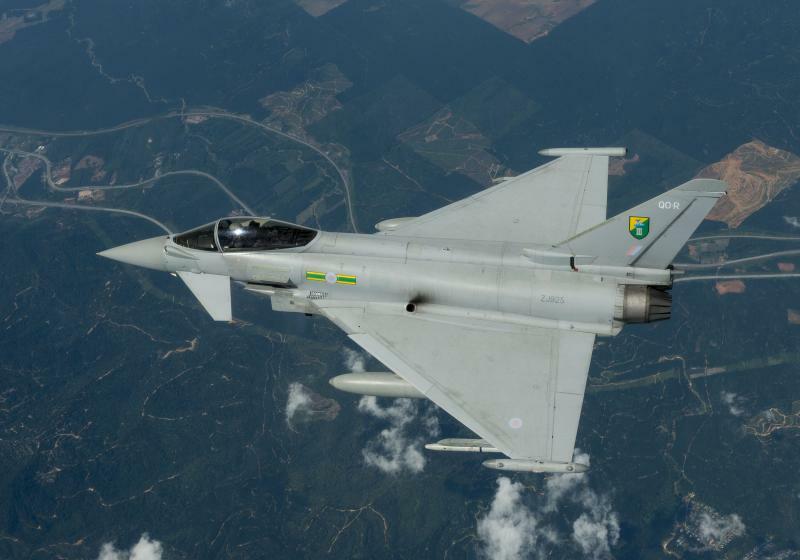 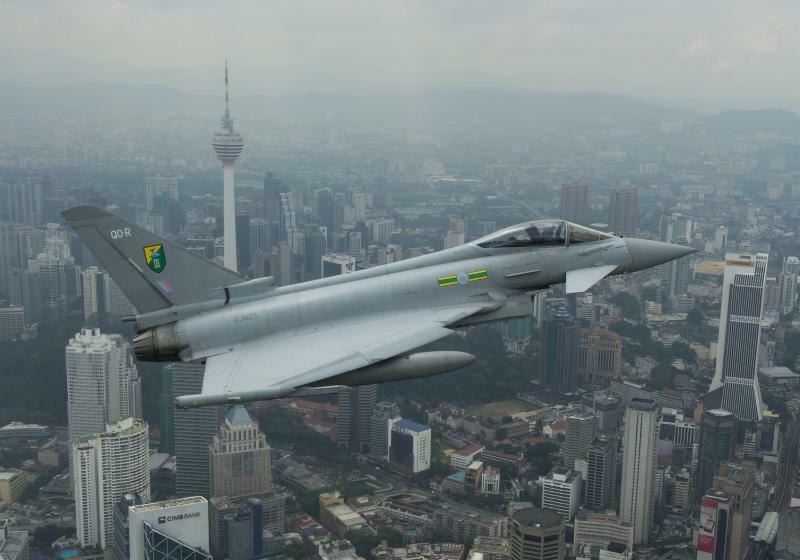 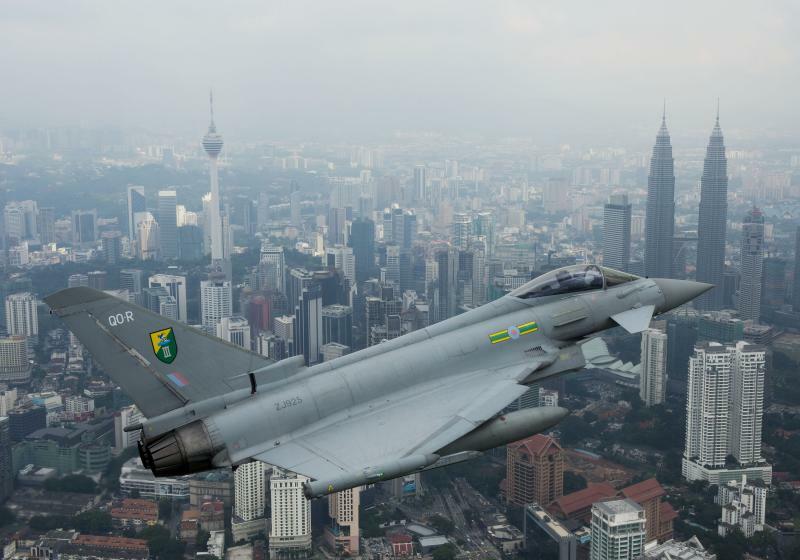 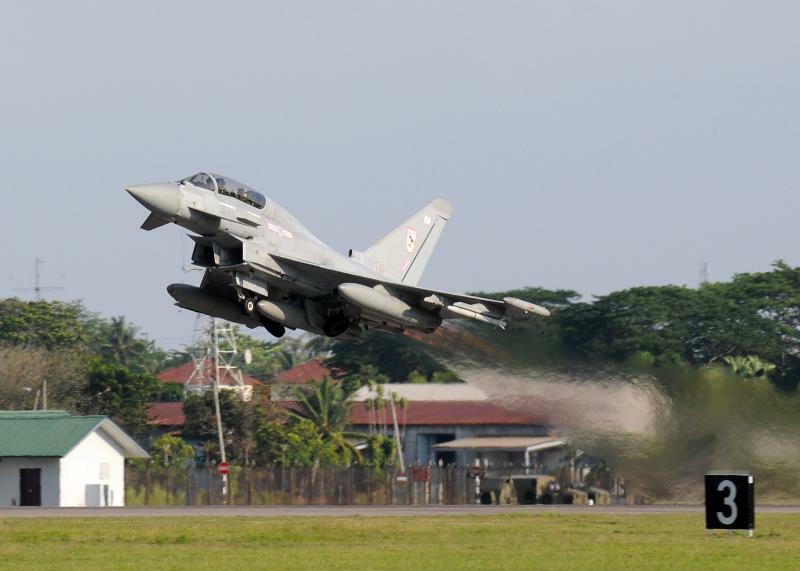 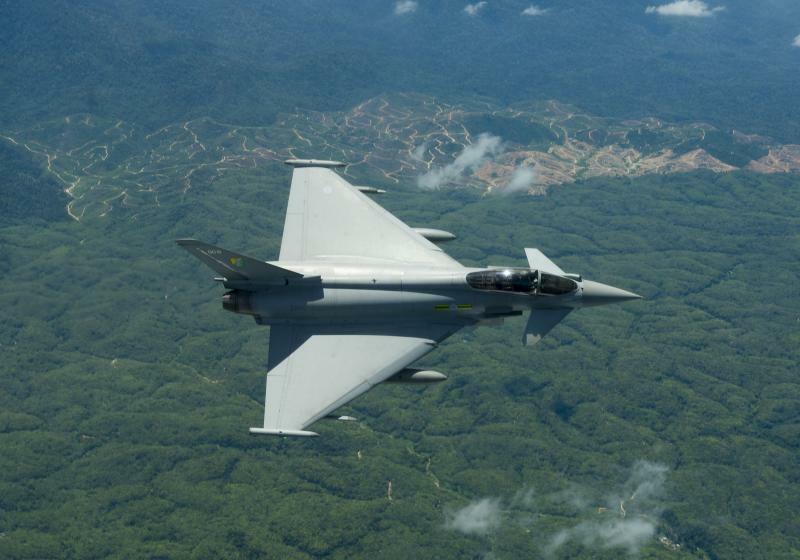 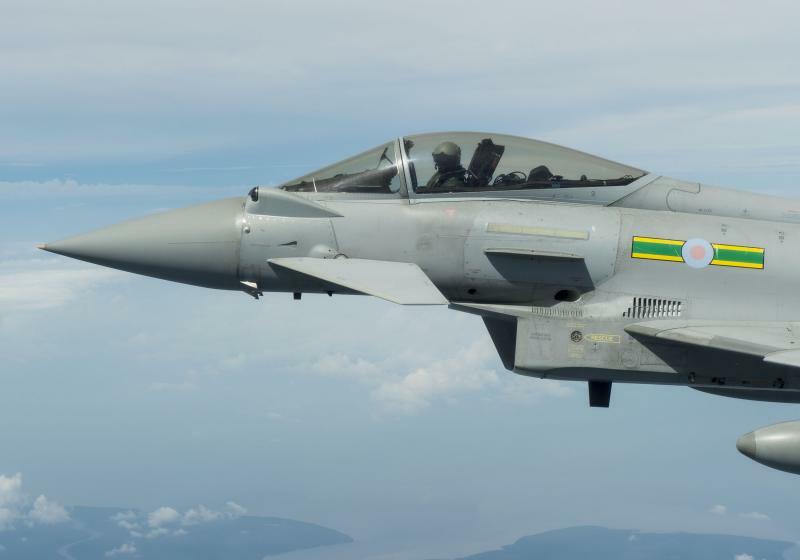 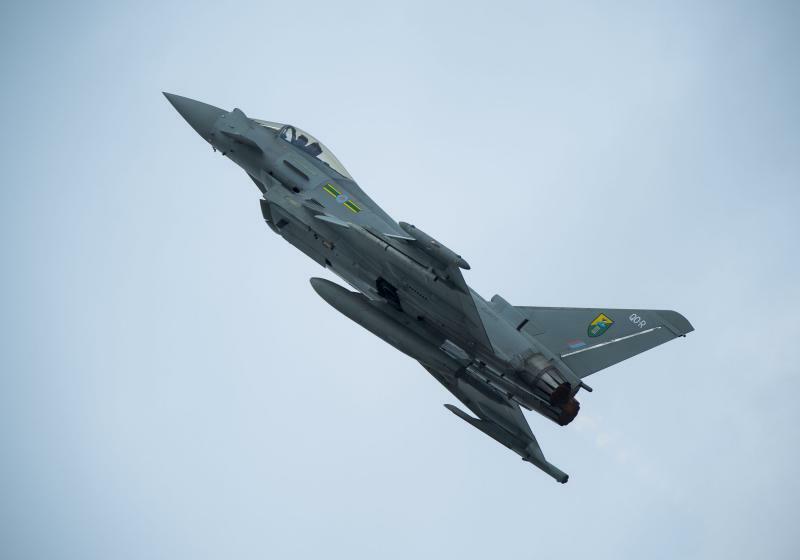 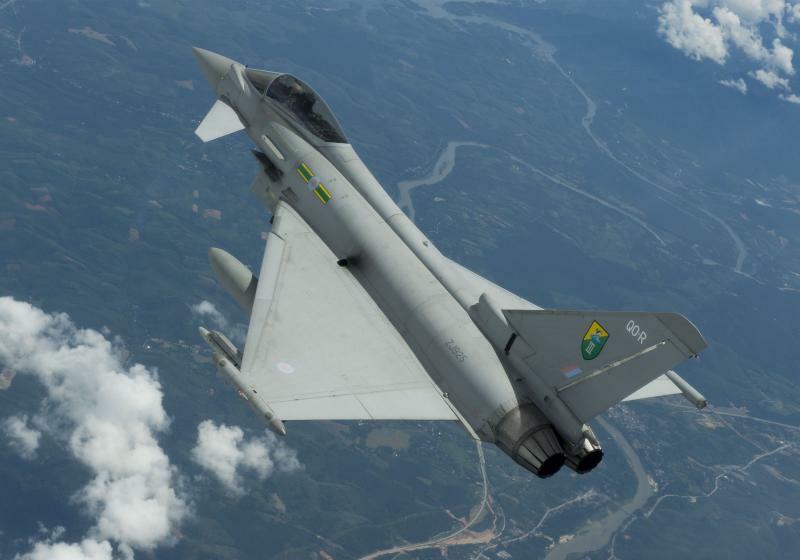 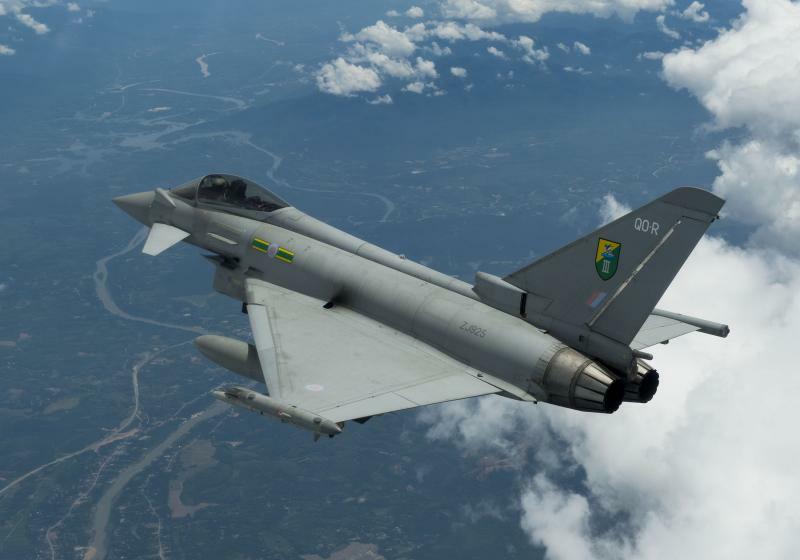 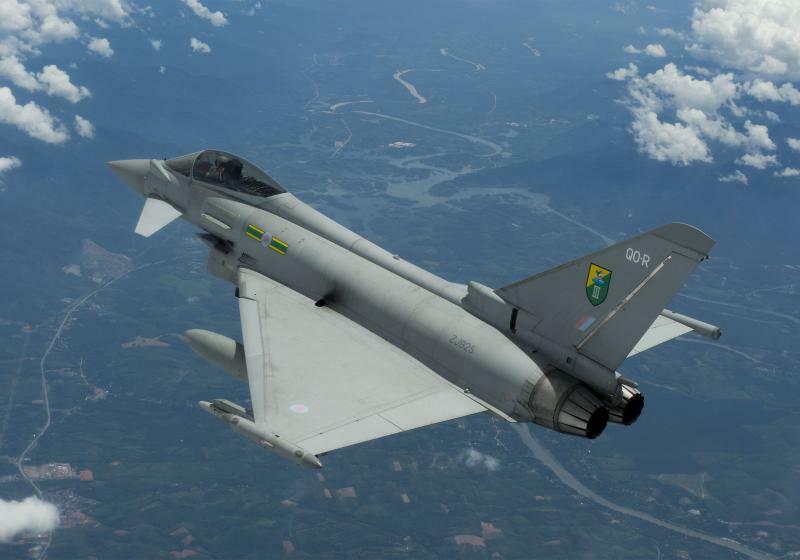 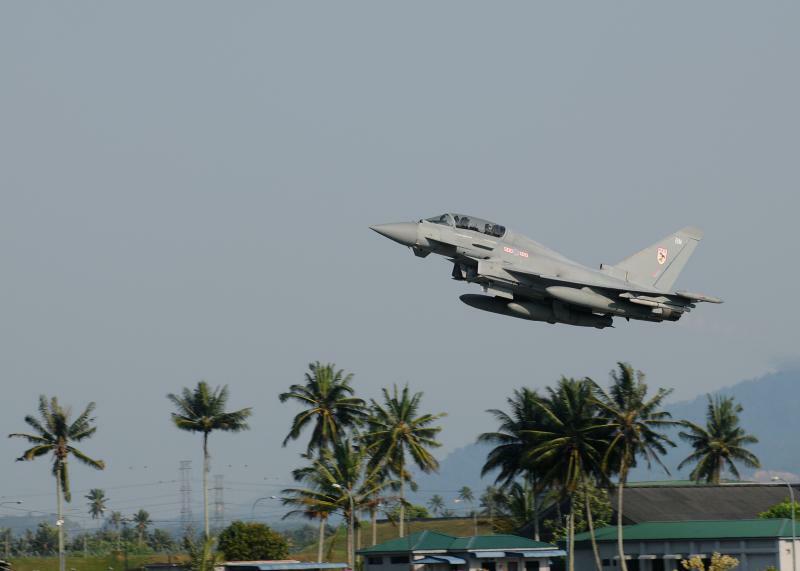 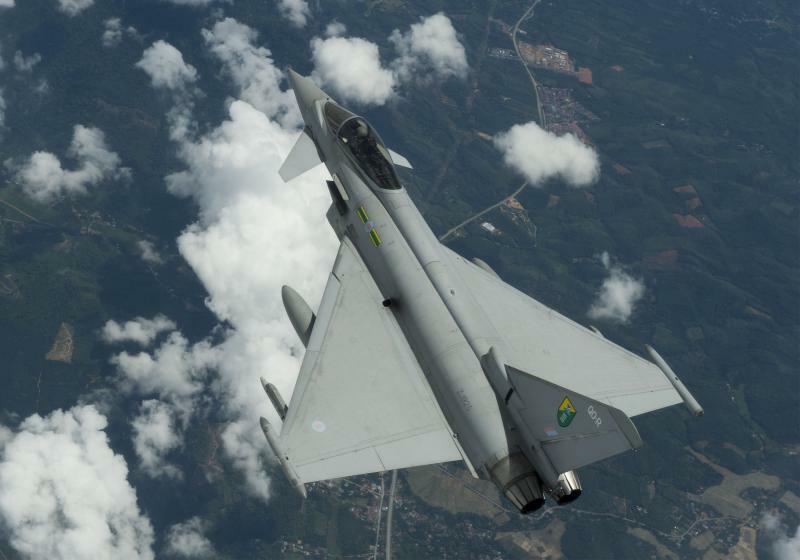 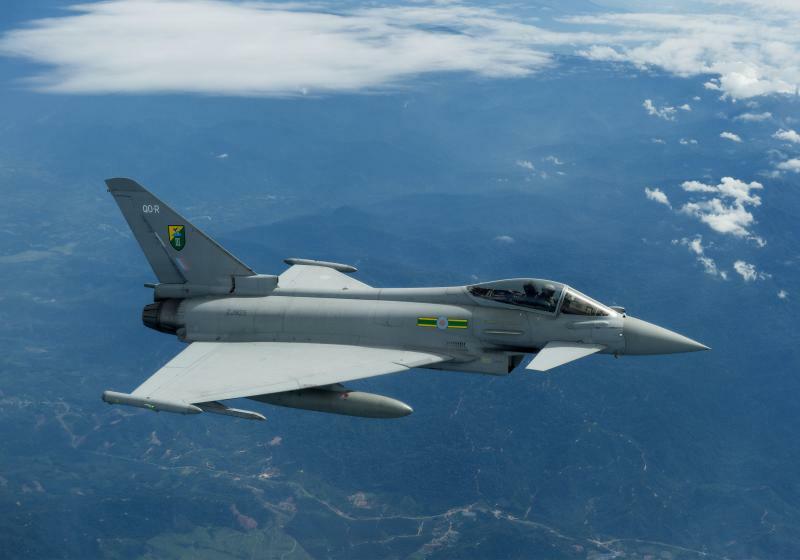 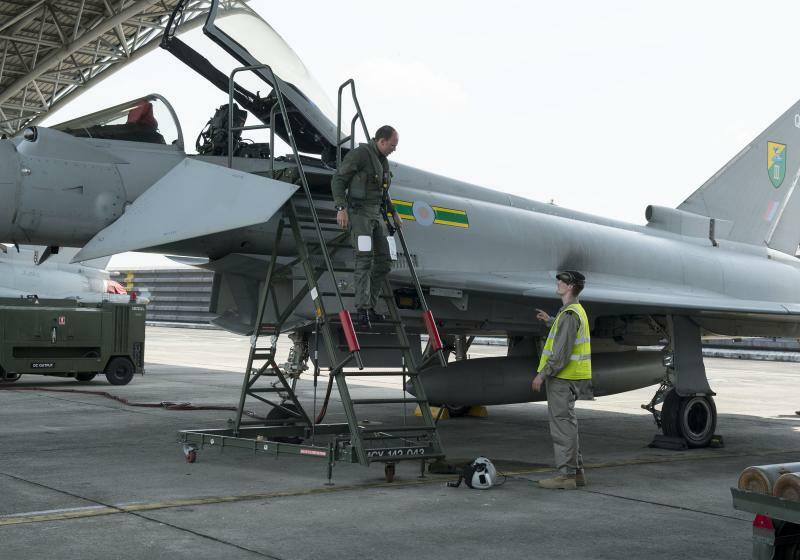 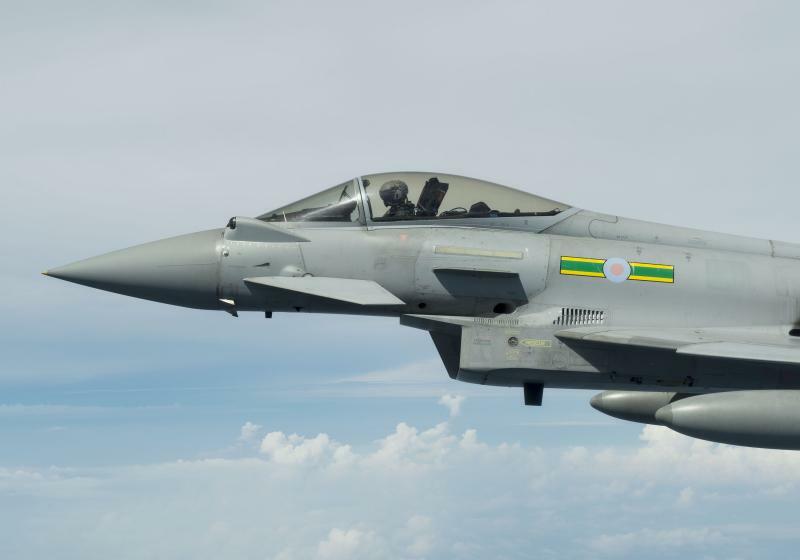 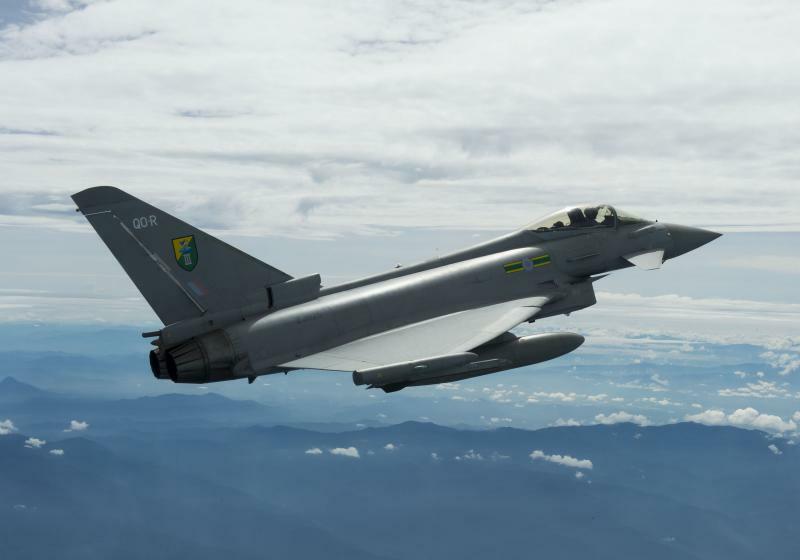 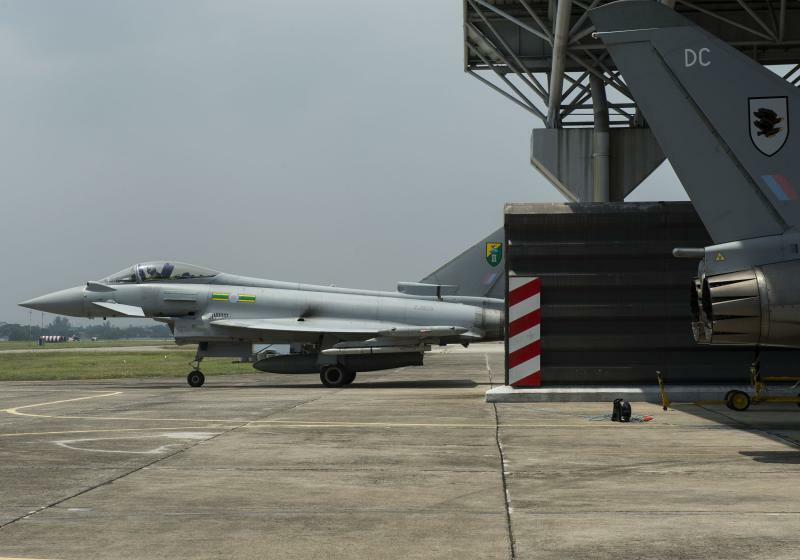 1(Fighter) Squadron, based at RAF Leuchars, have been flying Close Air Support (CAS) training missions in Malaysia, working in conjunction with RAF Regiment Joint Tactical Air Controllers (JTACs), to further develop Typhoon Multi-Role capability. 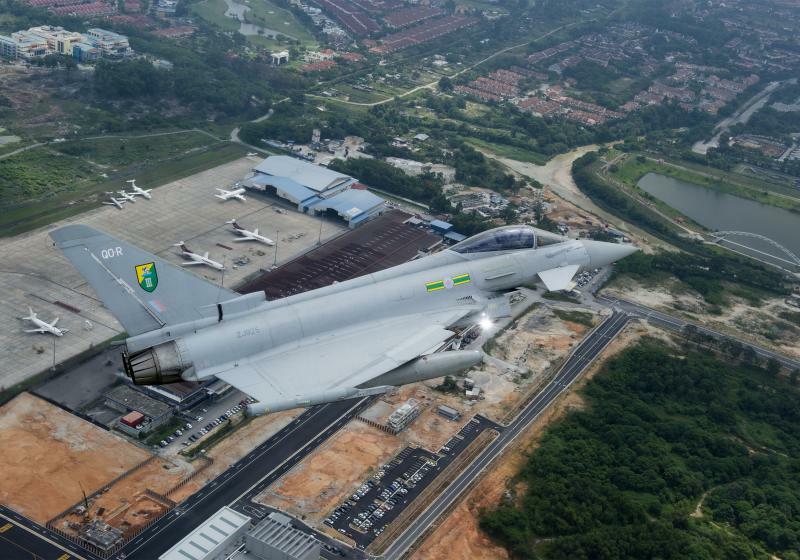 The JTACs – who provide a critical link between air assets and those units requiring air support on the ground – forward deployed to the Cameron Highland Mountains in the centre of the Malaysian peninsula. 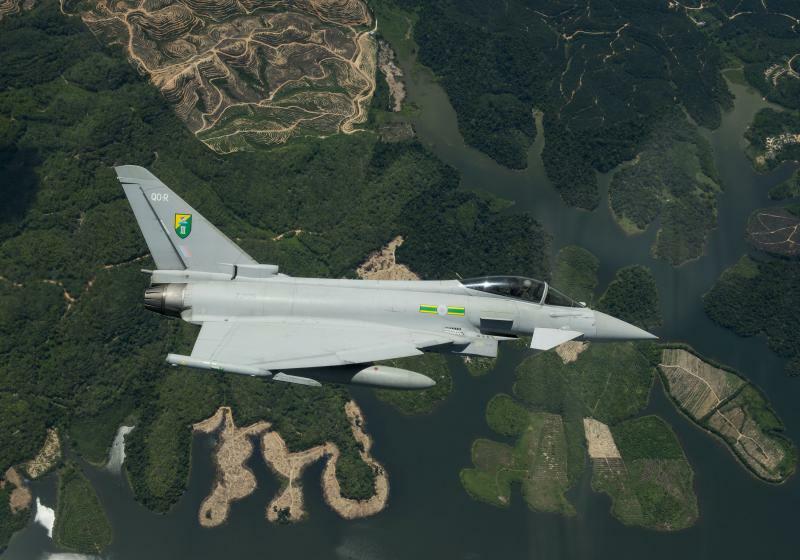 Having carried out a thorough reconnaissance of the area, the JTACs from RAF Honington’s Air Land Integration Cell and 16 Air Assault Brigade took up positions deep in the jungle, from where they could provide accurate control to the 1(F) Squadron pilots. 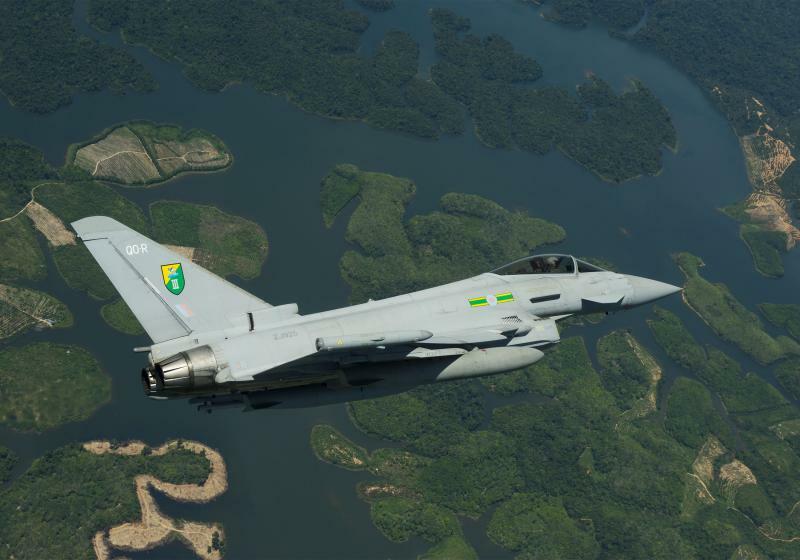 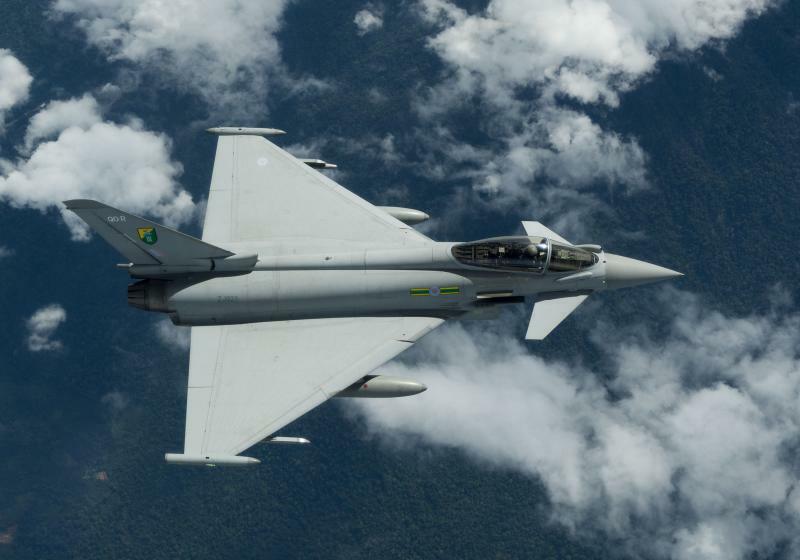 The tropical terrain provides the Typhoon pilots from 1(F) Squadron and their ground-based colleagues with a rare opportunity to practice their skills in a difficult and complex jungle environment. 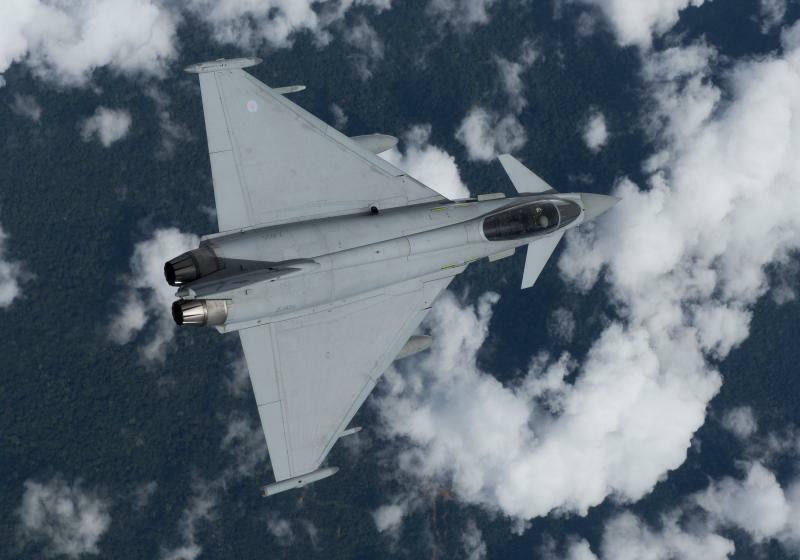 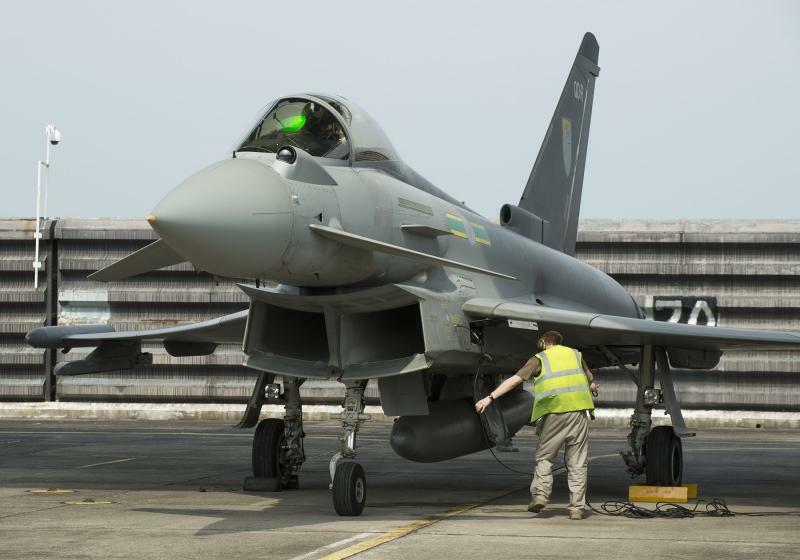 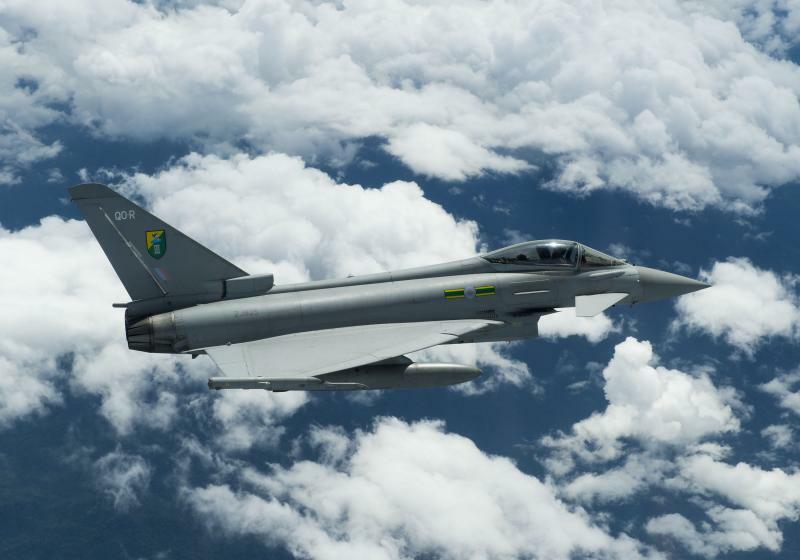 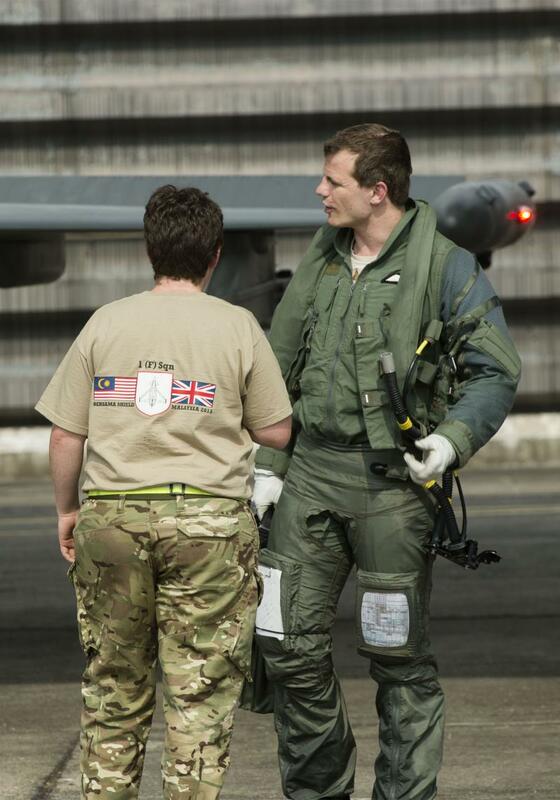 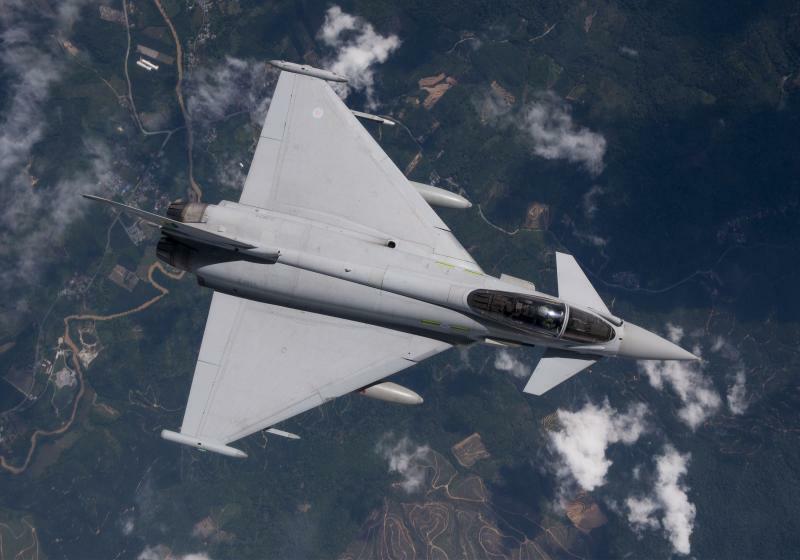 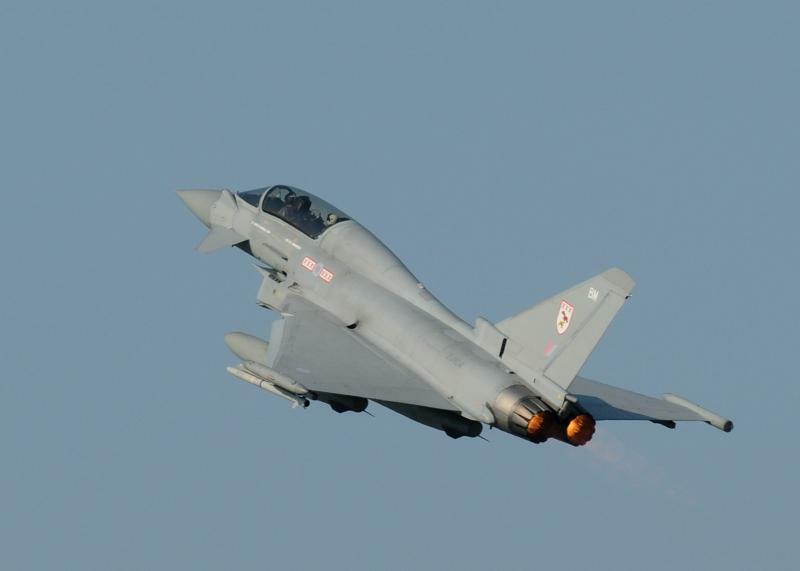 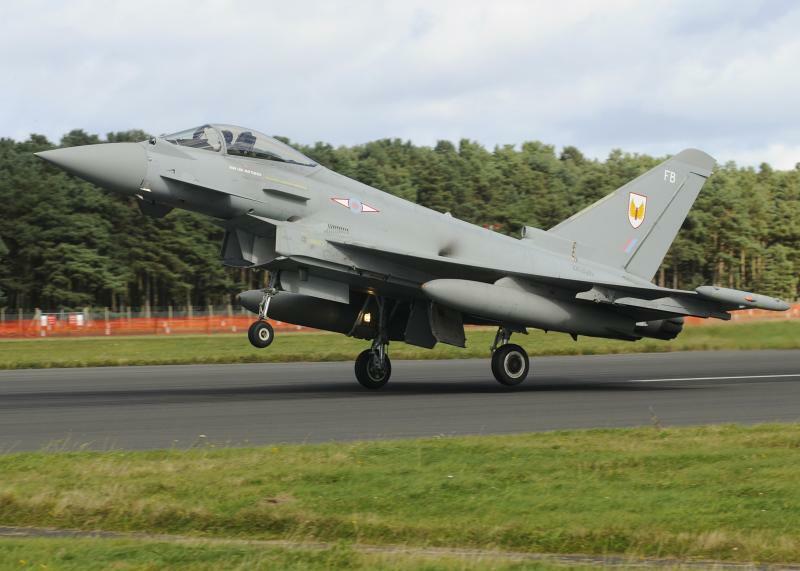 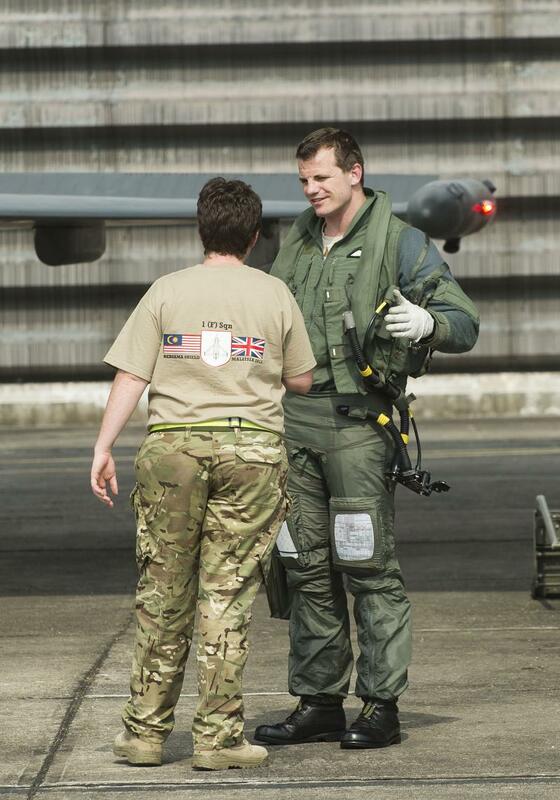 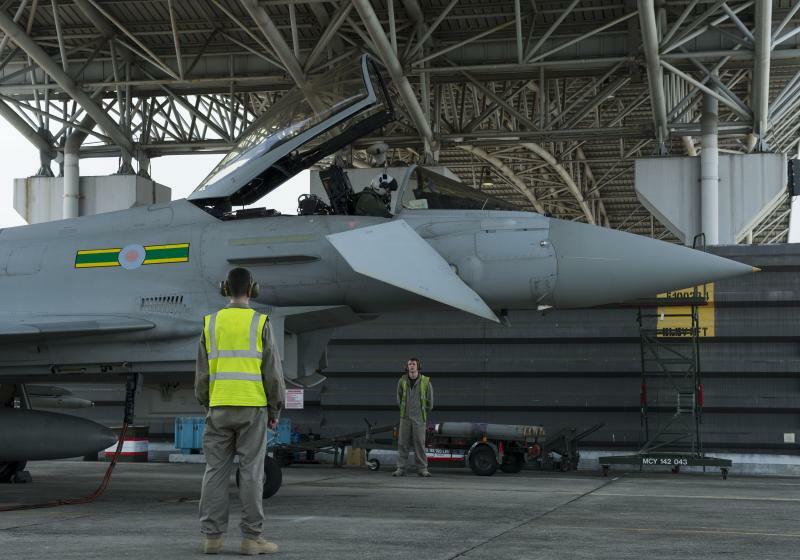 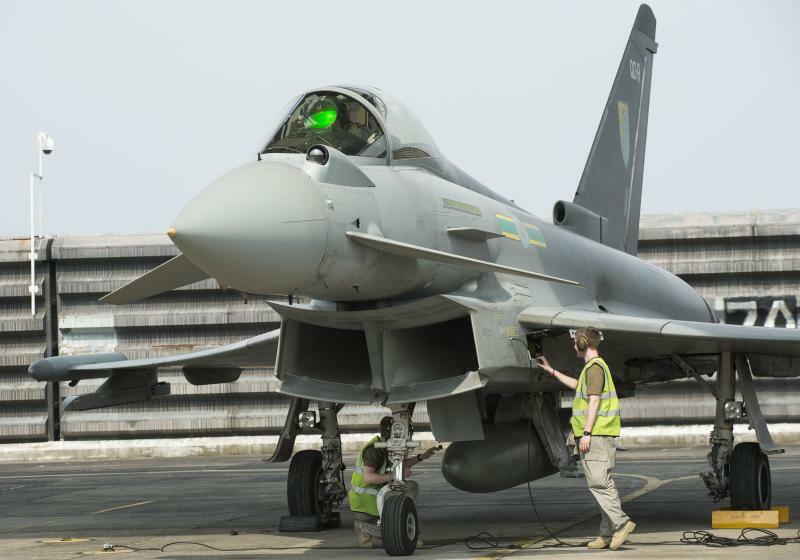 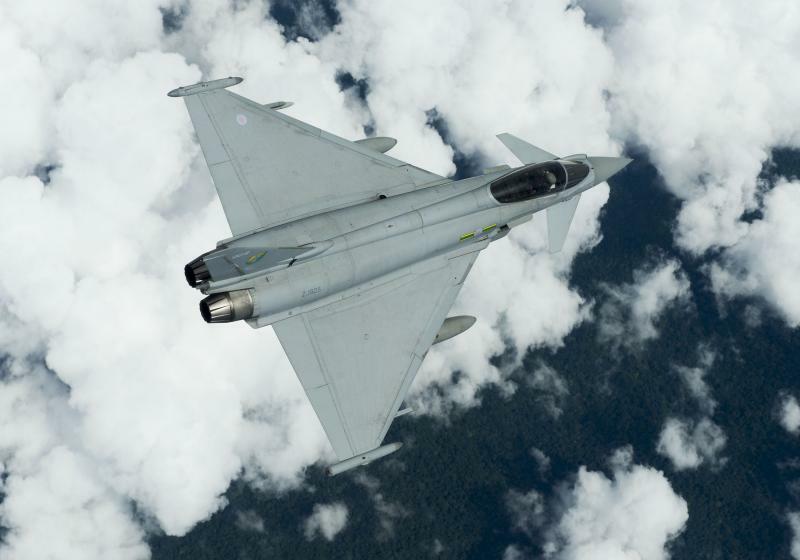 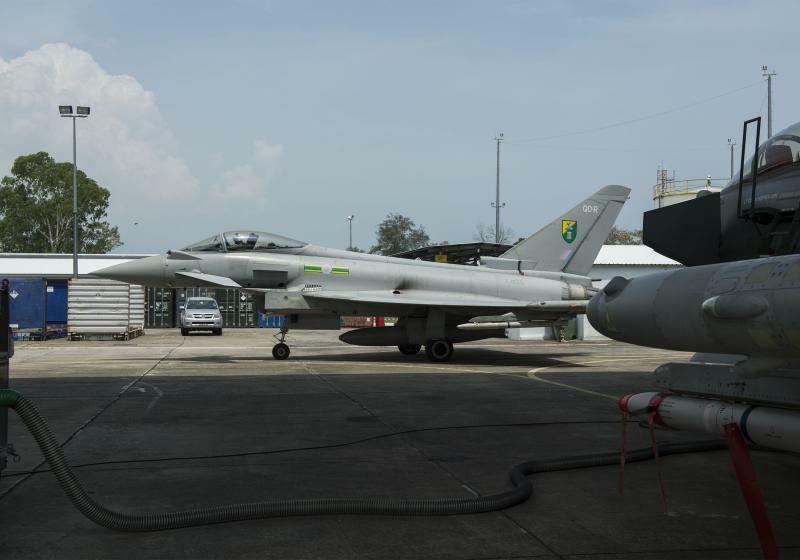 “This is has been my first CAS training opportunity on Typhoon since converting from the Harrier in 2011. 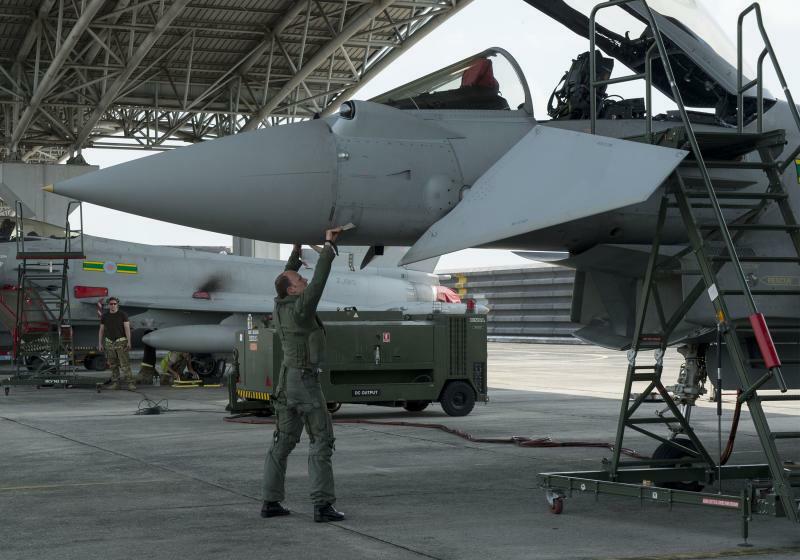 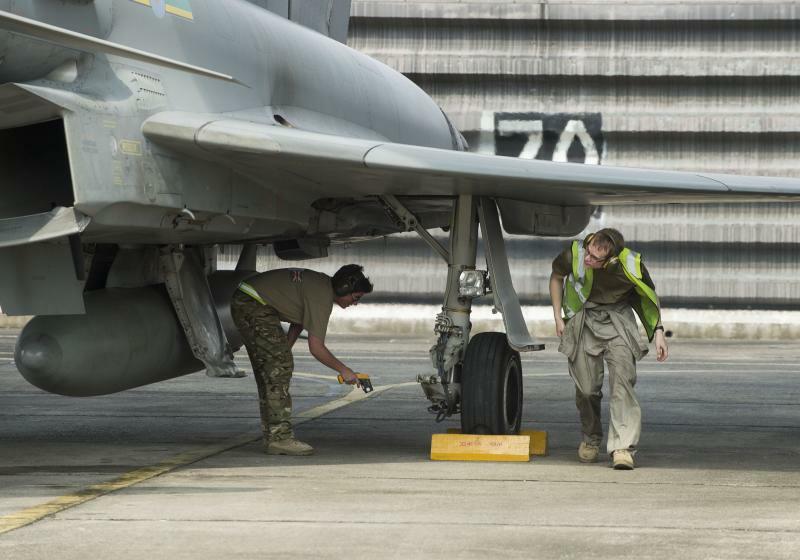 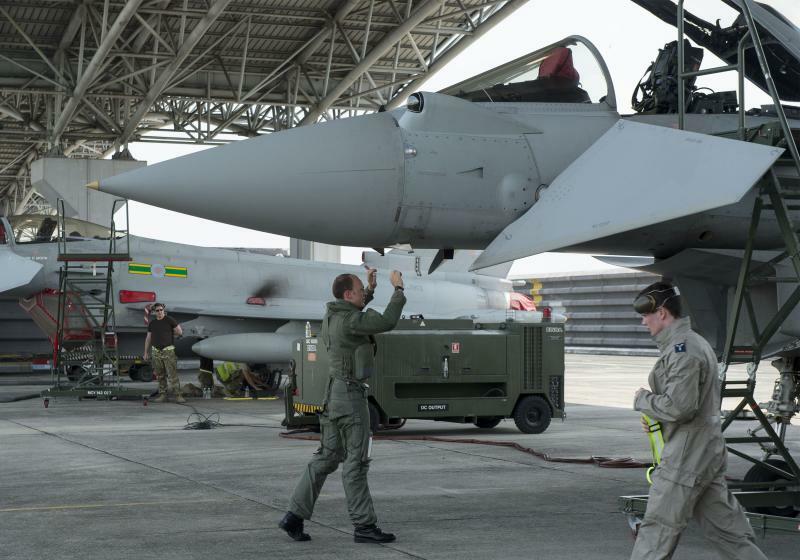 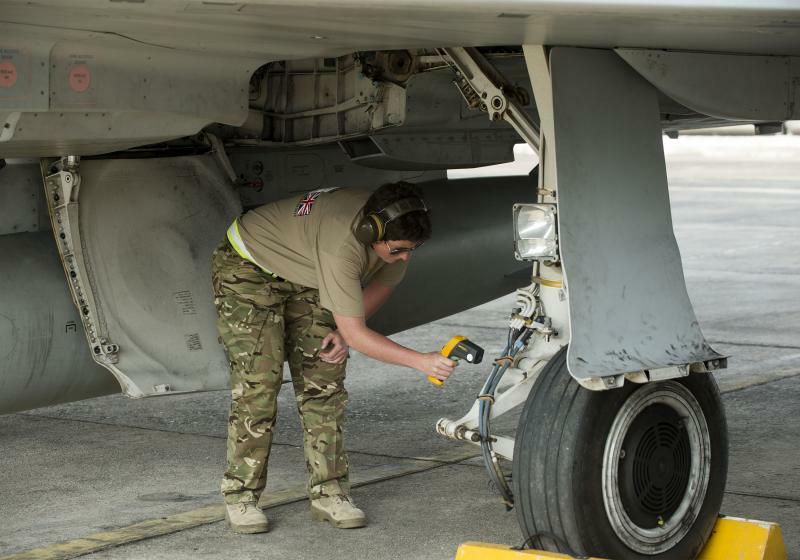 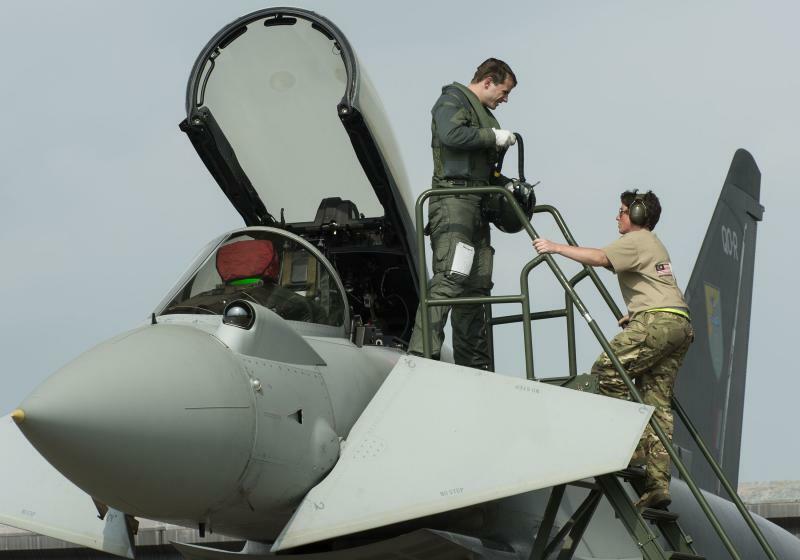 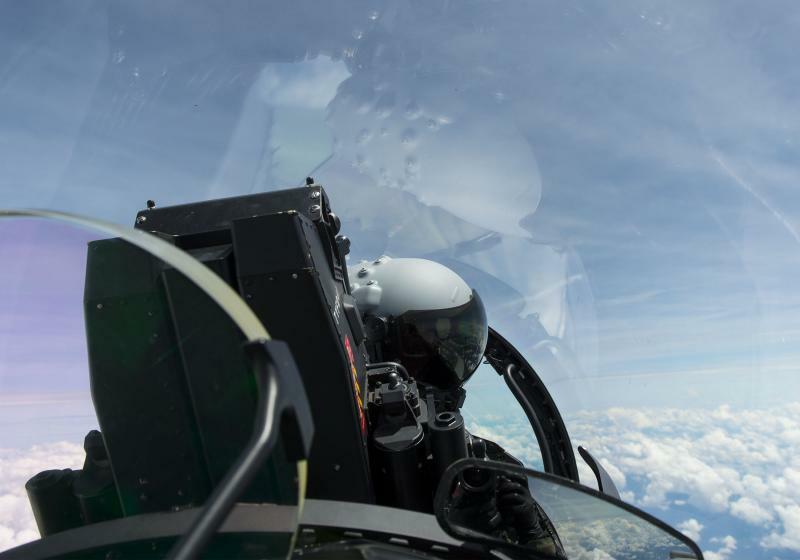 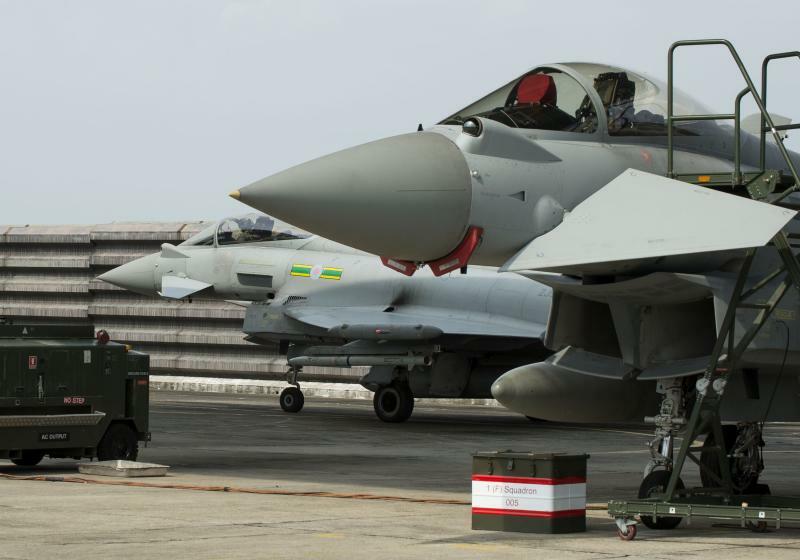 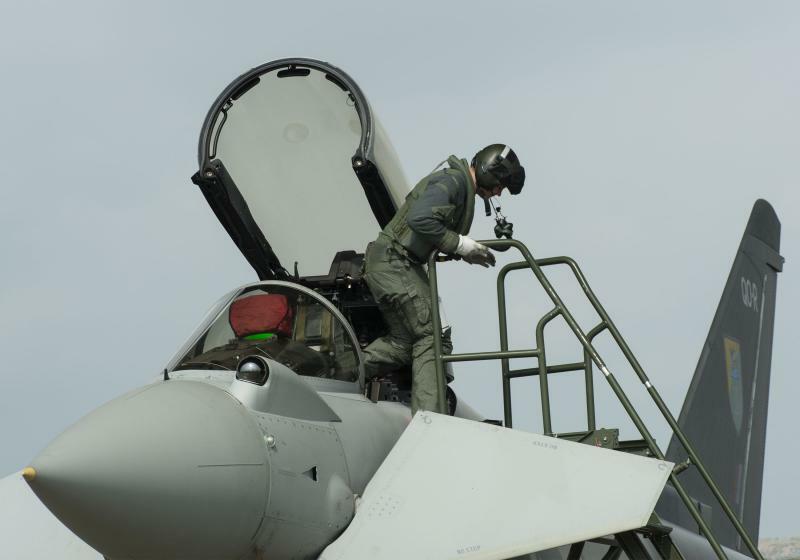 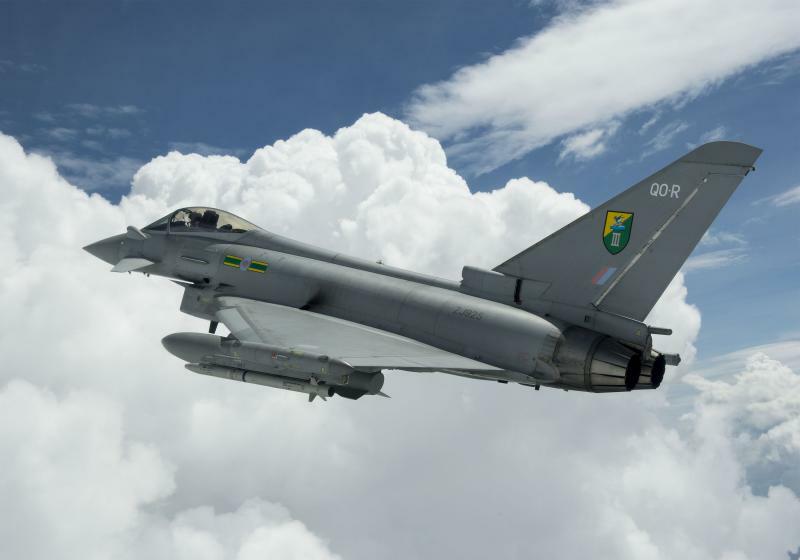 CAS is a vital facet of Air Power in contemporary war-fighting and this Exercise gives pilots experience and confidence in a first class multi-role platform. 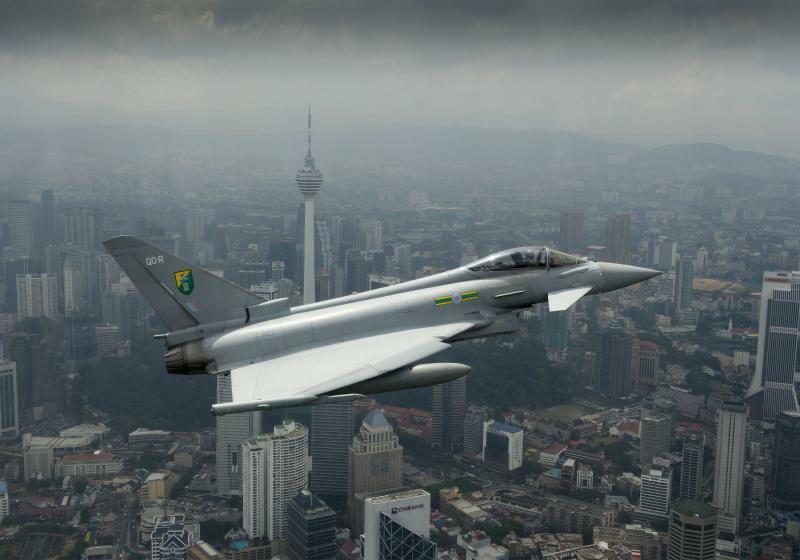 The CAS scenario we are training with in Malaysia is truly immersive; from the campaign plan devised by the Qualified Weapons Instructor and Intelligence Officer, to the combat-experienced JTACs acting as the 'boots on the ground'. 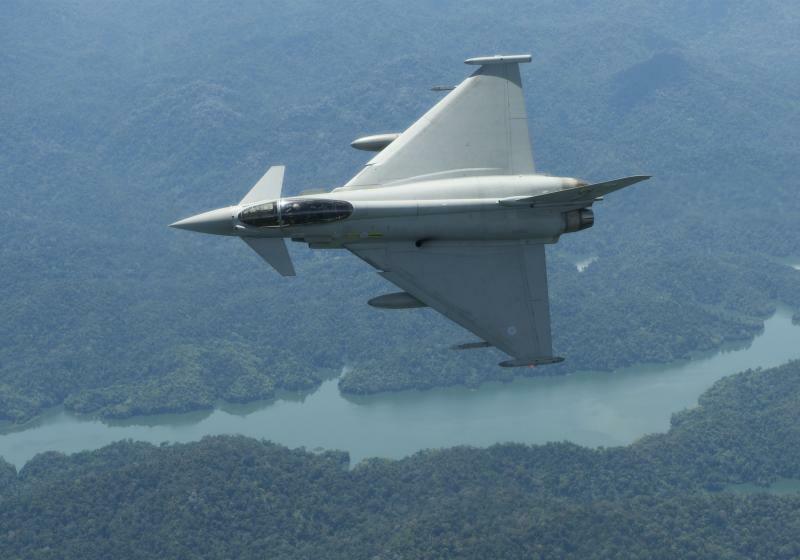 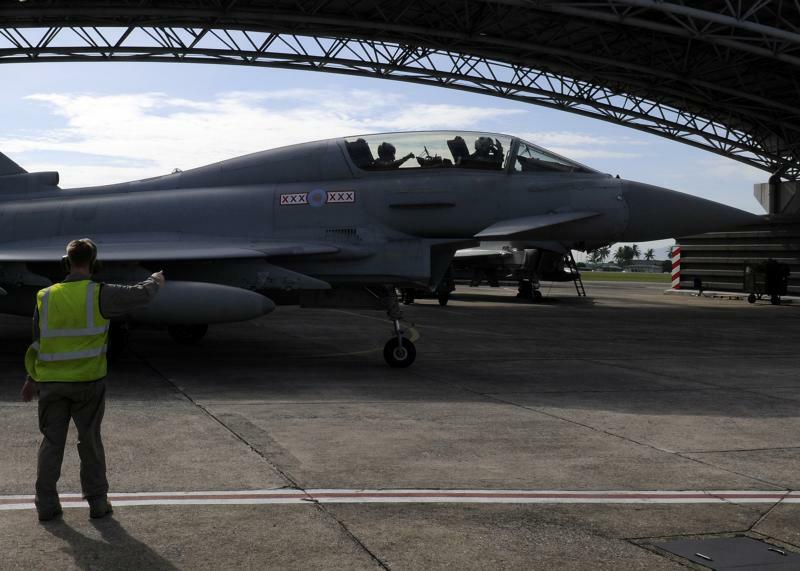 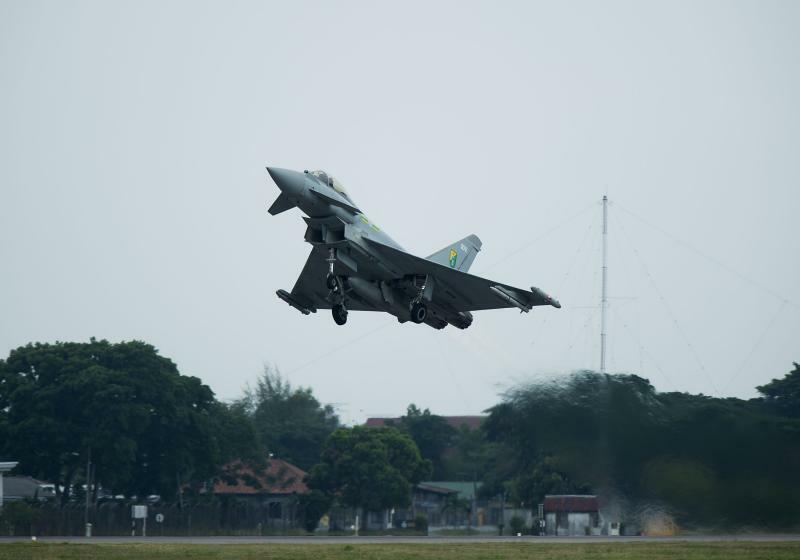 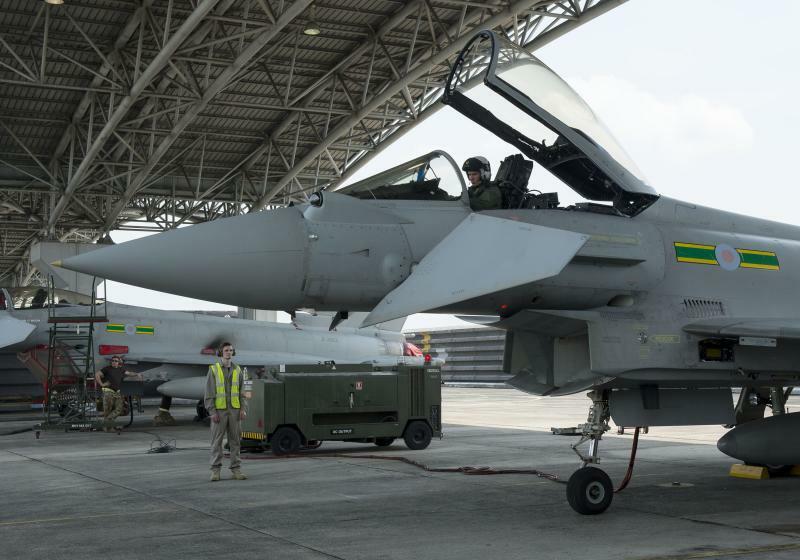 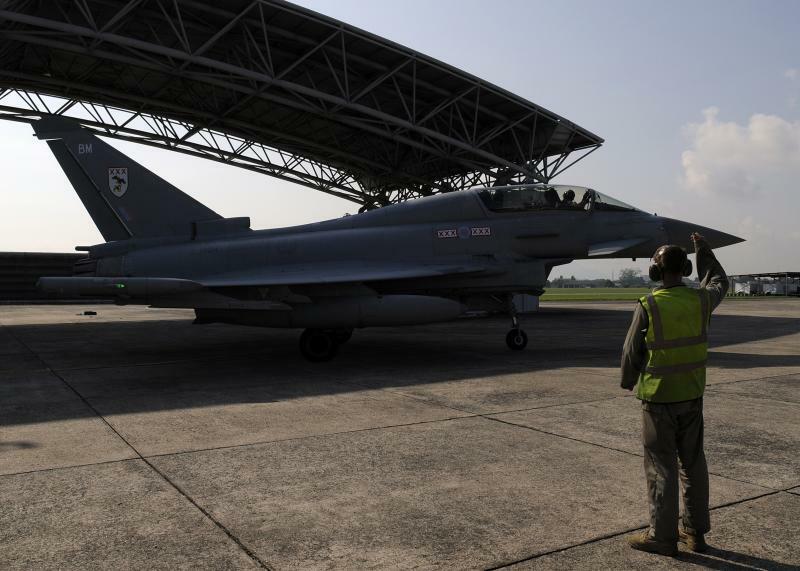 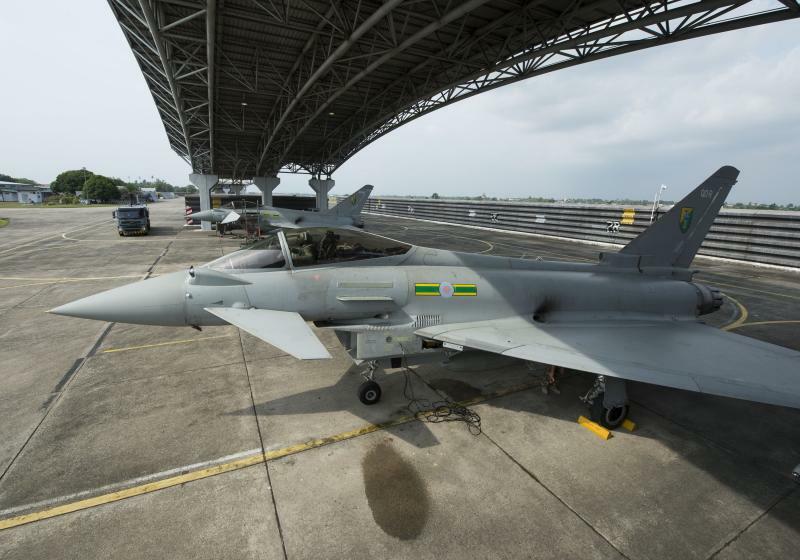 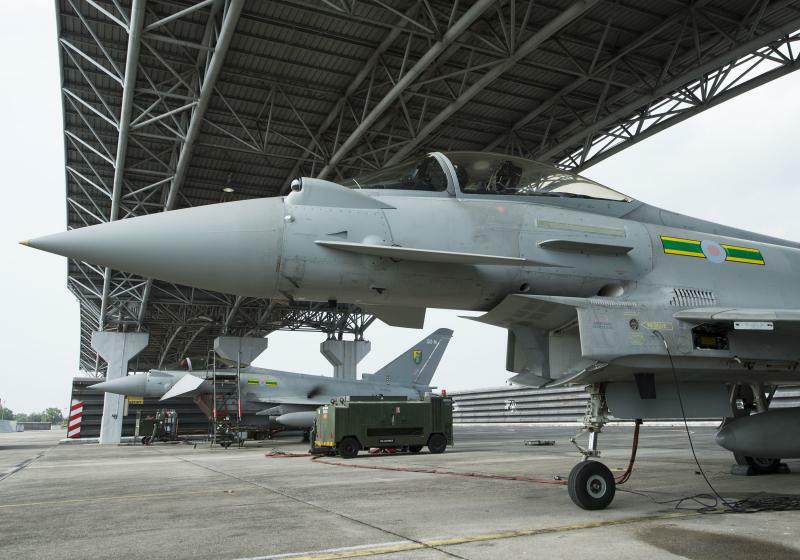 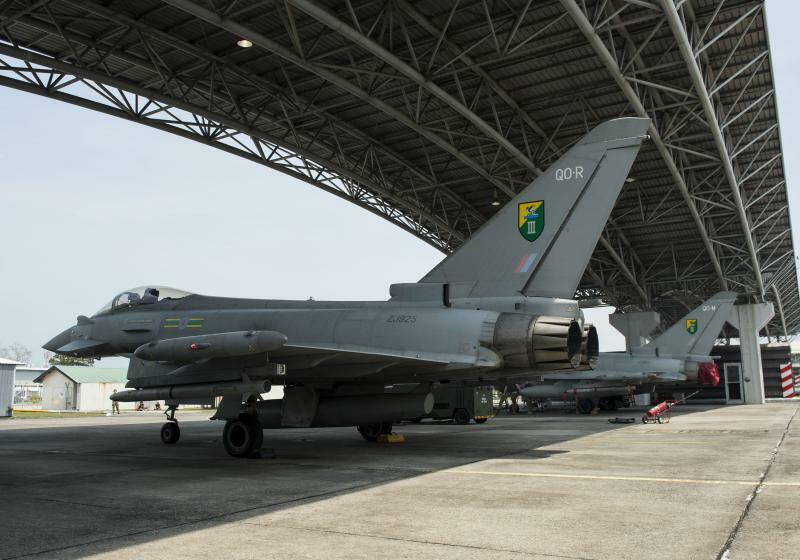 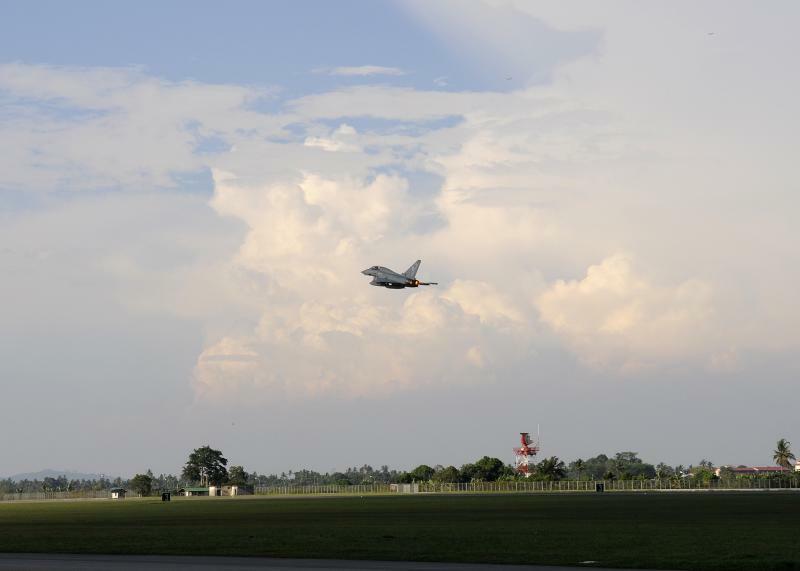 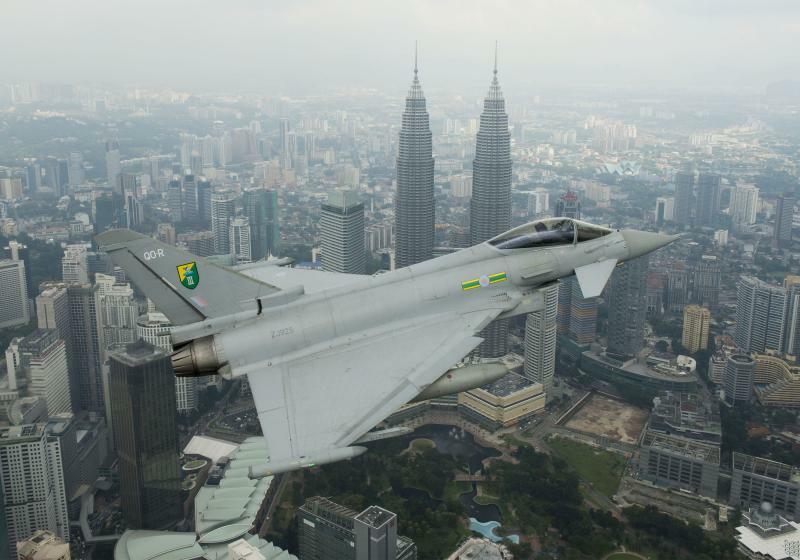 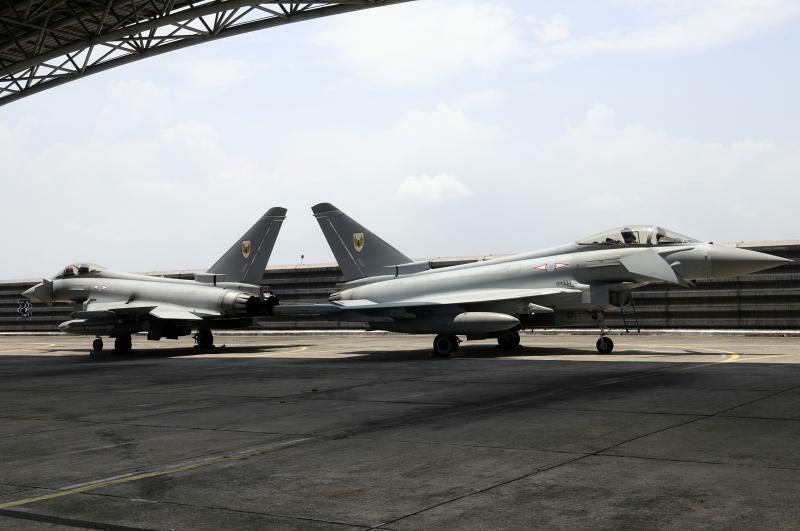 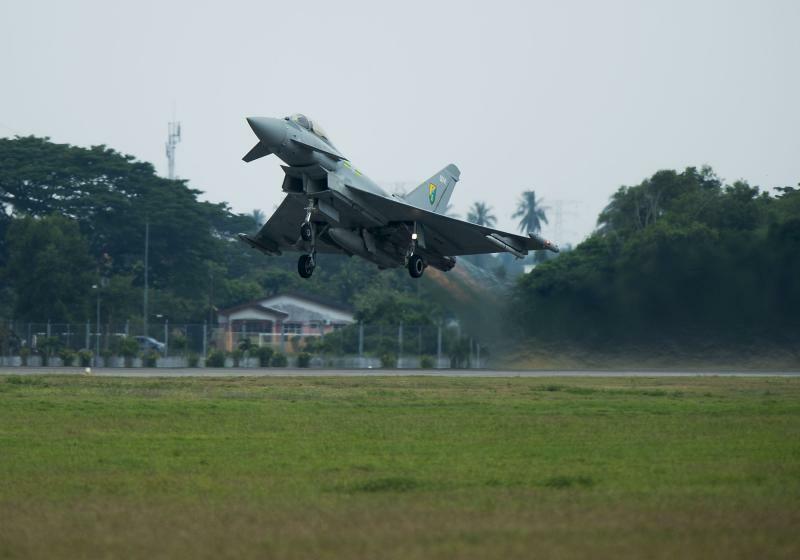 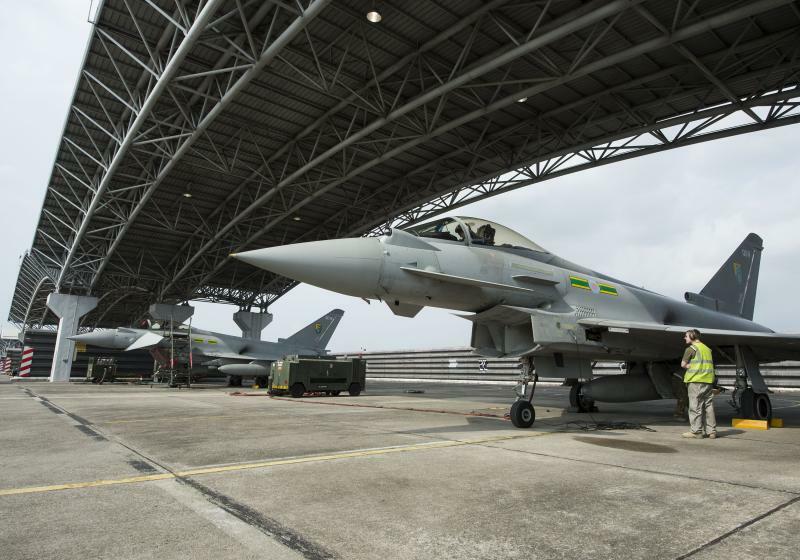 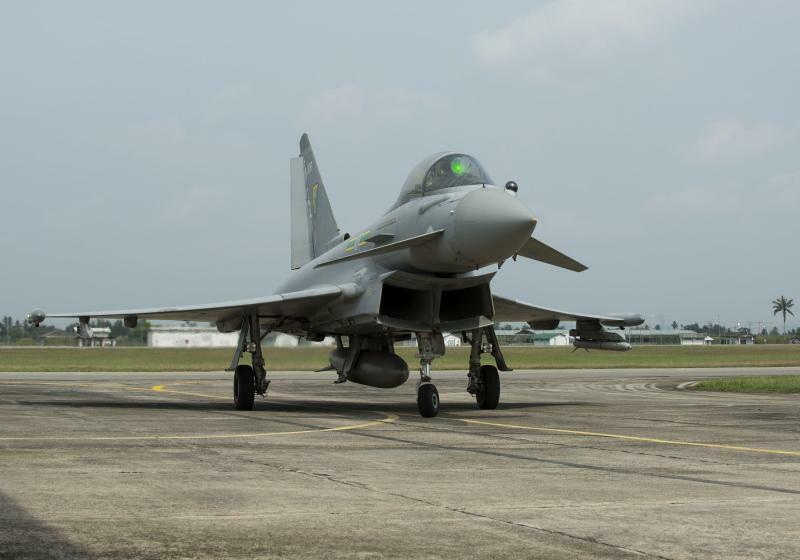 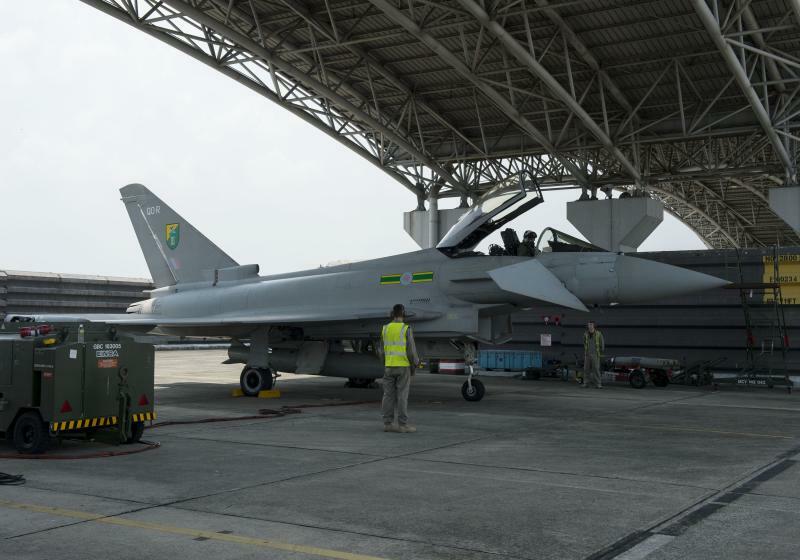 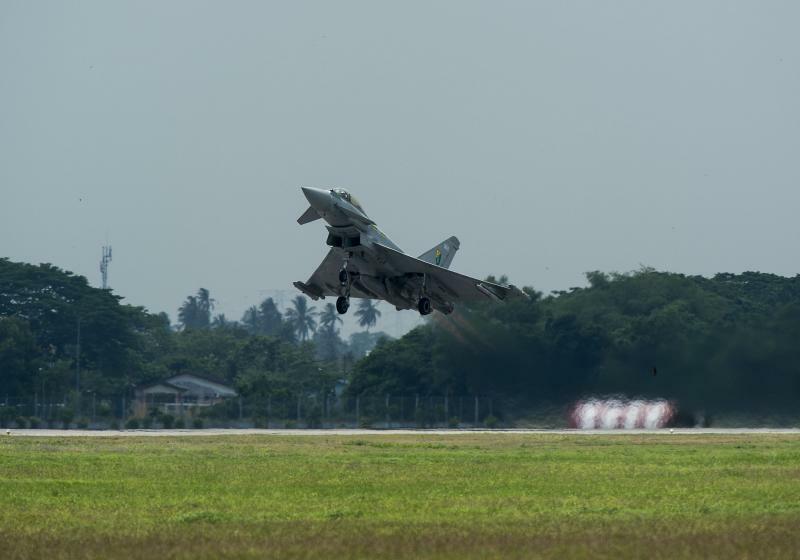 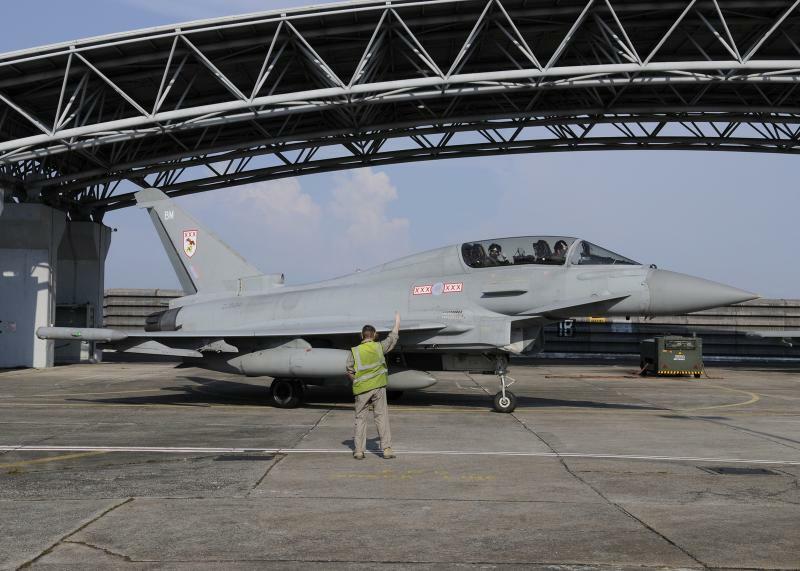 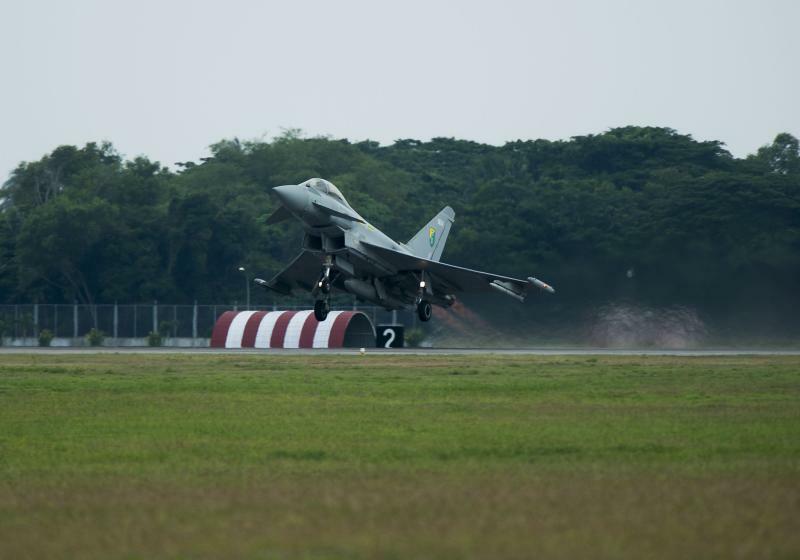 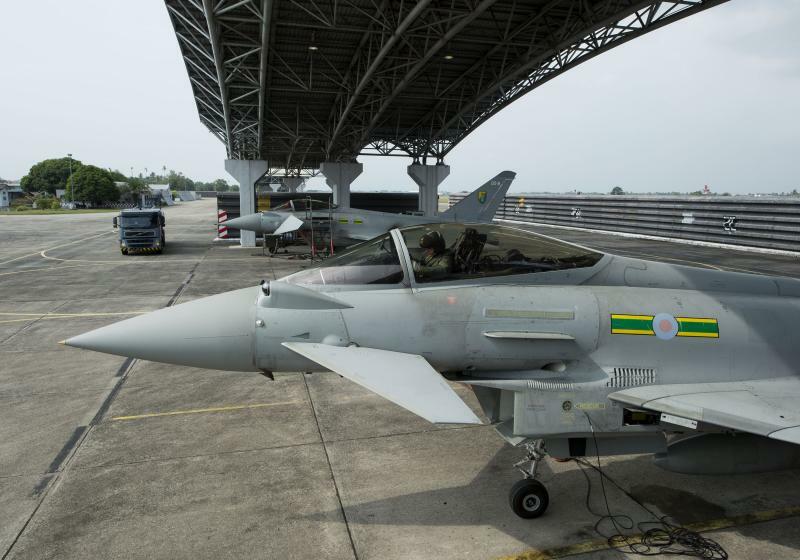 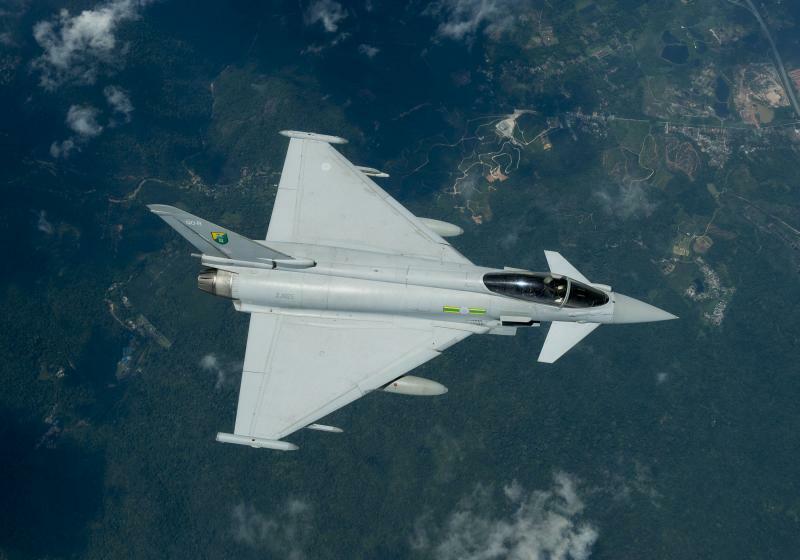 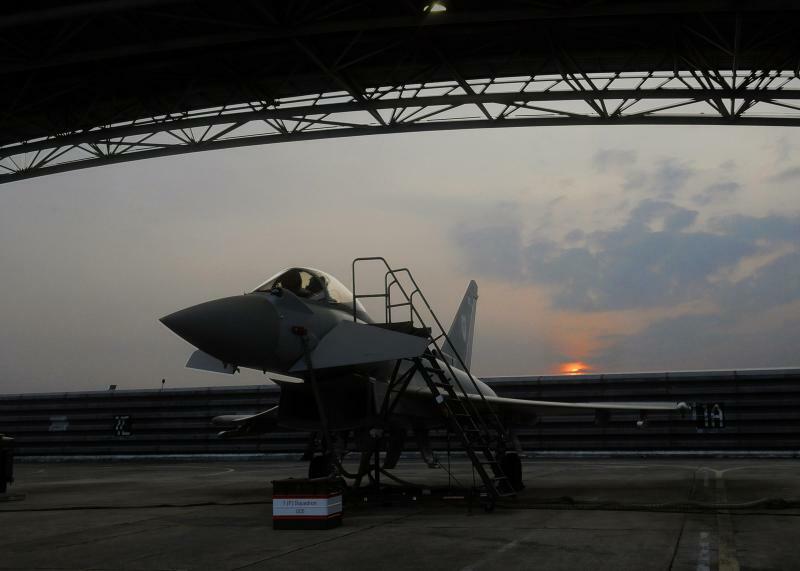 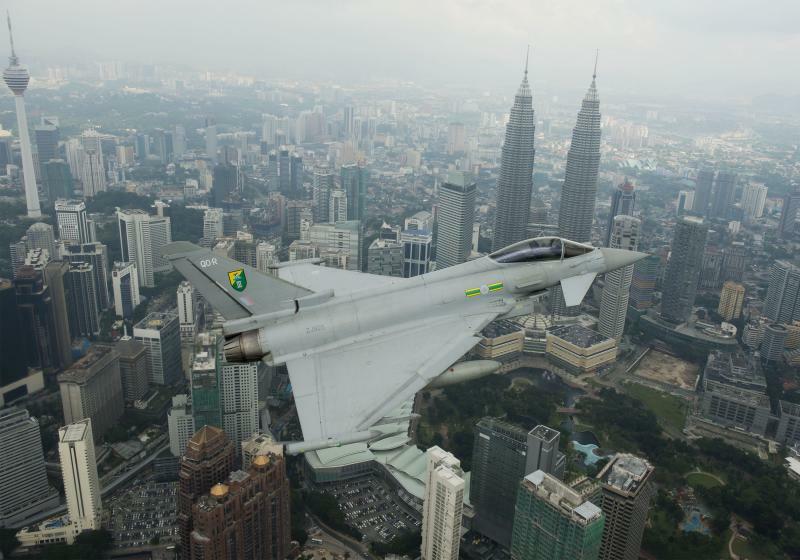 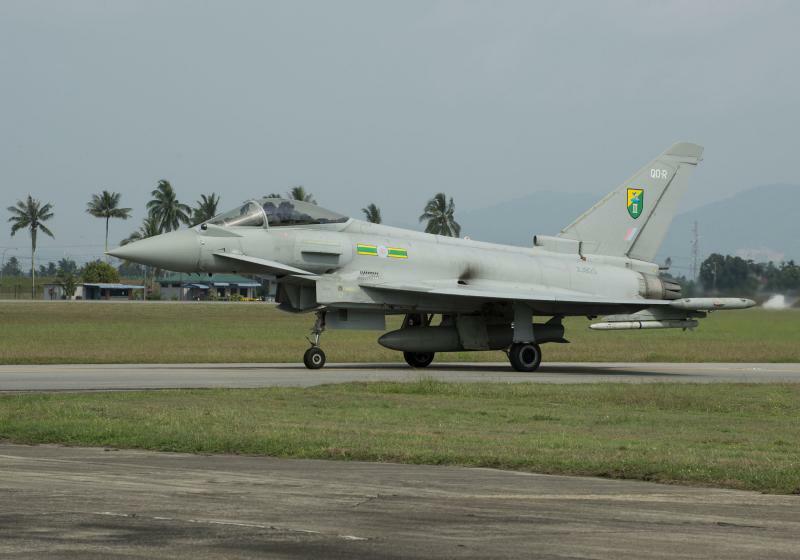 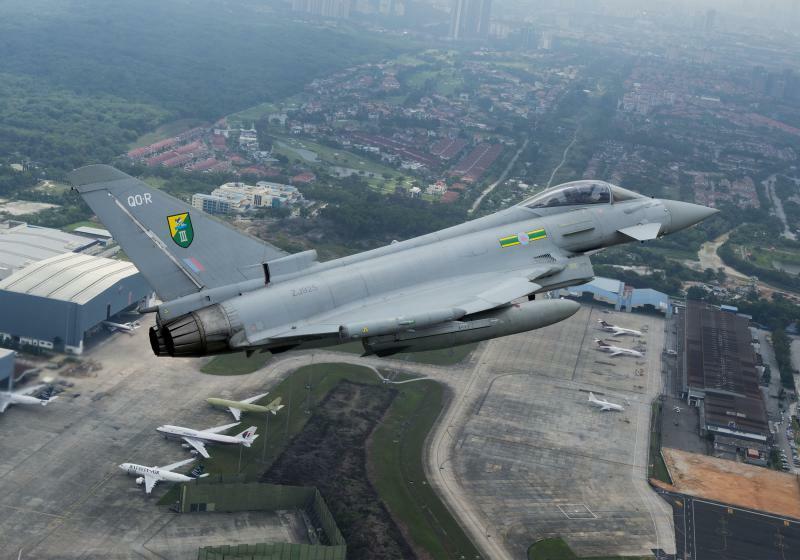 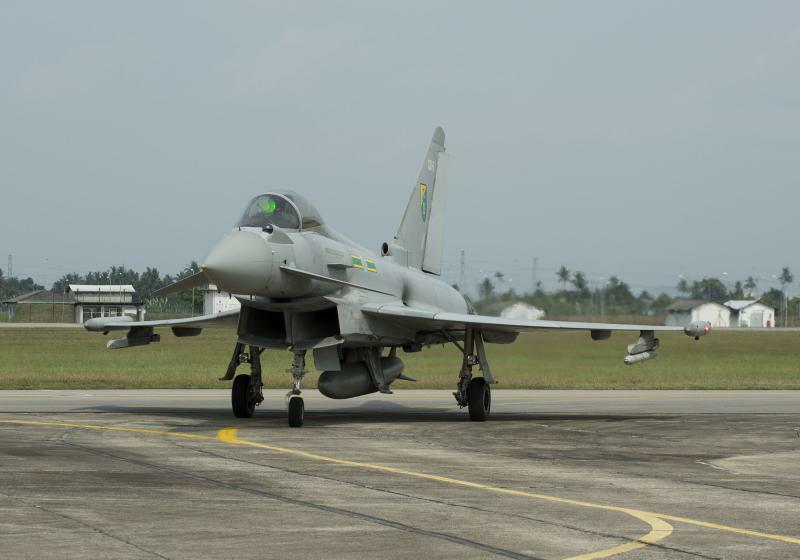 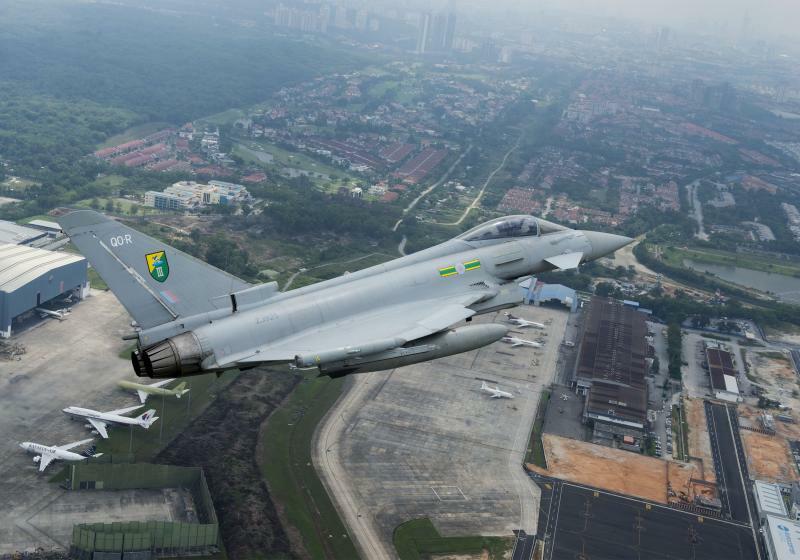 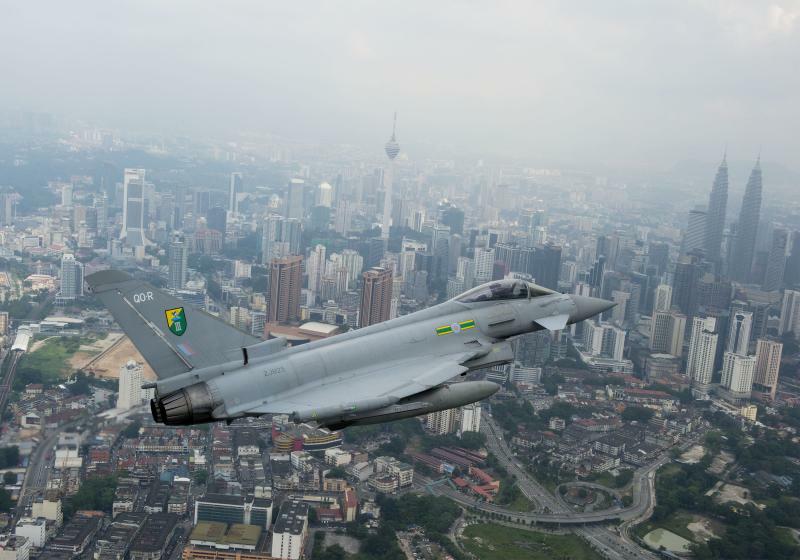 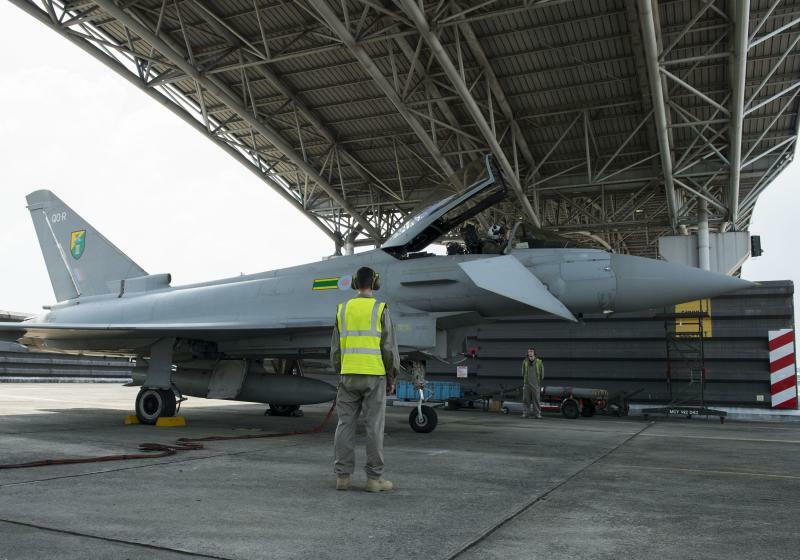 The Air Land Integration training represents the third phase of 1(F) Sqn’s detachment to Royal Malaysian Air Force Base Butterworth. 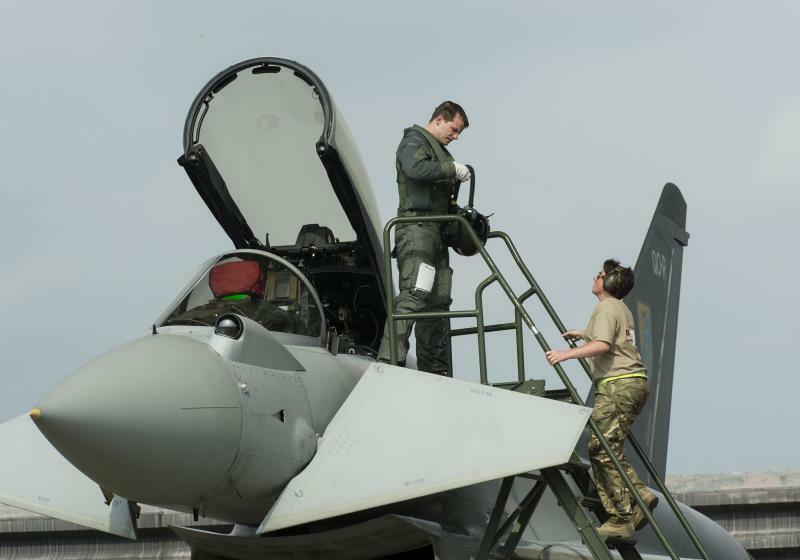 Wing Commander Flewin, OC 1(F) Sqn, added, “Thediverse landscape, hot and humid climate, and challenging weather are providing us with some unique training opportunities. 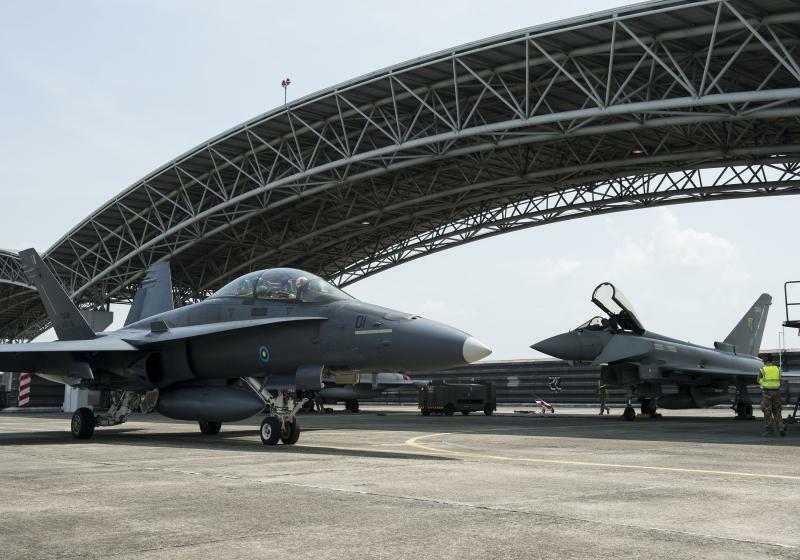 Indeed, in addition to the air to surface work, we have already been engaged in some extremely enjoyable Dissimilar Air CombatTraining with both Malaysian F18 and MiG29 aircraft, and are very much looking forward to the challenges of Bersama Shield 13”.